Pure Sine Wave(voltage and frequency can be customized according to customers’requirement). It takes about only 7-8 hours to fully charge the power pack by AC charger. IF using the solar panel(72V/20A), it can be fully charged in 4-5 hours in the sunshine. Indicator of battery capacity,90% efficiency. With A handle and the wheeled design, it can be easily moved. It can power any electrical appliances rated at 3000W or less. 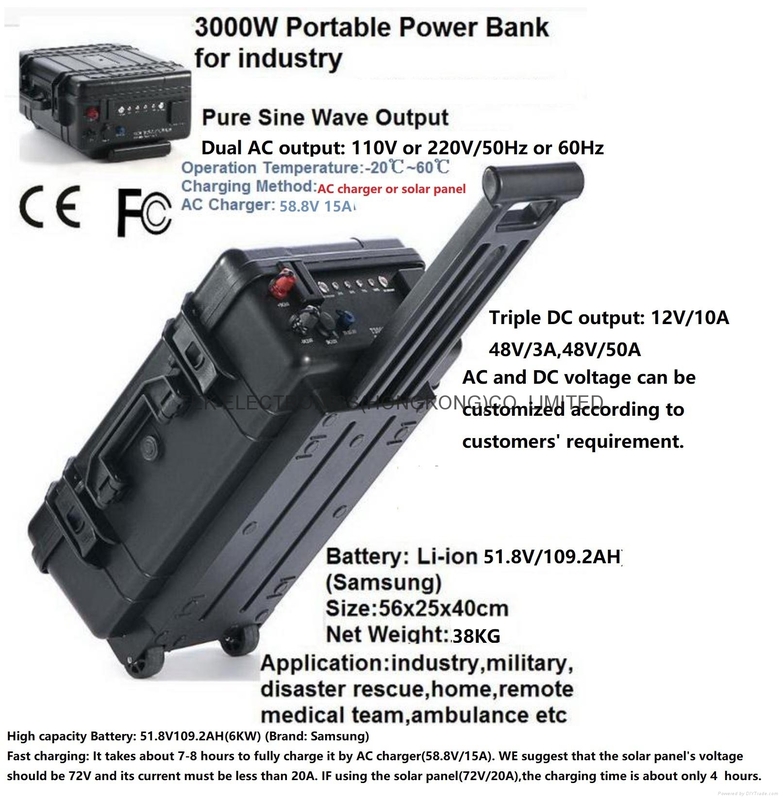 Suitable for home use as well as outdoor activities such as ambulance,medical team,field work,mines,disaster rescue etc.